There is a wide range of variety in Iran hotels, from traditional houses to 1-5 star hotels. Although the internet is widely used in Iran there is still no online connected booking system for travelers. Reservations are still traditionally made through operators. Our recommendation is to get your services such as hotels, visa, and other required services through reliable travel agencies like Iran Traveling Center. We offer you the best Iran hotels reservation lists based on our travelers’ feedback, conformity of hotel services to global standards, and the most reasonable hotel booking rates in Iran. Our operator team will all the time help you in Iran by responding to you as soon as possible with booking the best hotels in Iran. Let us book your stay in the best accommodations of all Iran cities. If you are looking for a different accommodation in Iran, we suggest you stay at one of the traditional boutique hotels. The beautiful houses that have been rejuvenated and transformed into hotels with Persian architecture and traditional decoration which resemble the history of art and culture of the Persian nation. These hotels have preserved their traditional architectural styles and have become so popular among the tourists who seek distinctive destinations and are eager to see where the real magic happened. These places have typically a nice azure blue pond in the center of the yard with small red fish surrounded by beautiful flowers and trees. 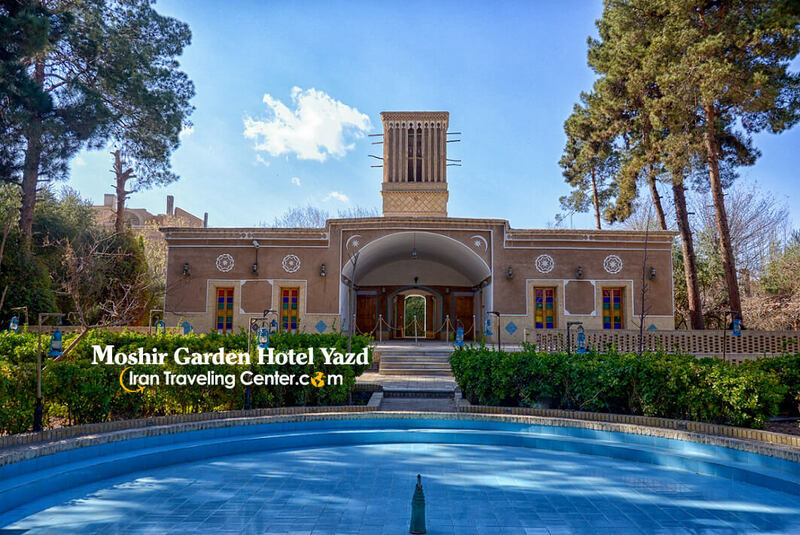 You can experience staying at these traditional boutique hotels in the main cities of Iran such as Isfahan, Kashan, Yazd, and Shiraz. These traditional houses are the main targets for tourists. The places you stay at will have a direct influence on your satisfaction level during your travel to any country. In Iran, there are different kinds of accommodations in addition to the common European types. For instance, you can stay at modern 2-5 star hotels in big cities or traditional boutique hotels, guesthouses, hotel apartments, nomad tents, and even rocky villages. Thus, you will have a different and memorable experience by choosing the above-mentioned accommodation in Iran. Below you can see a list of the best Iran hotels in different cities. Since the reservation at some hotels is done manually, you should ask your agency to email you the voucher or the reservation code before your trip. Take the high season period into consideration. During high season most of the favored hotels are usually full so book the rooms two to six months in advance. Please note that check-in time is at 14:00 and check-out time is at 12:00 at noon. Based on your reservation ranking, your hotel may be different from your tour guide’s hotel. If you would like to have identical reservations, do inform your correspondent. In most of the hotels in Iran there are primary services such as sandals, towels, shampoo, soaps and hair dryers inside the rooms. If there is a need for a special kind of service, please inform us beforehand. Your ID card -Passport- is required at the hotel reception.